What makes a game truly great? Realistic graphics? Challenge and replayability? A good story? Memorable characters? For me, truly great games combine a little from all of these aspects, but In truth, even a Game of the Year can drop one of those and still be excellent. But what unites all titles that are as memorable as they are enjoyable, is a great soundtrack. Don’t get me wrong; I’ve played good games with bad music and vice versa but if you look back at the legendary games from the past few years, each one has had a unique, atmospheric and thematic soundtrack to back it up. Gaming is truly a media that indulges the senses and what you’re hearing could almost be described as being just as important as what you see on the screen. Most people will agree that ME2 was the best in a superb sci-fi trilogy, with some great characters and scenarios, and a backstory that successfully builds on the original game’s story. So, to go along with this, I picked Suicide Mission. This track truly encompasses the nature of your party’s task: to strike at any enemy no-one’s ever beaten, in a place no-one’s ever returned from with only a motley crew of misfit renegades united by the willpower of one woman (or man, I guess). And you know what? With this epic marching procession of strings and spacey synth behind you, you might just pull it off. Fez is an incredible game, with a perfect retro feel built around an original mechanic. 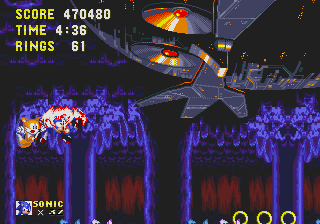 The game itself is very bright and colourful, with the world being a decidedly un-menacing one with no enemies, unlimited lives and few dangers outside of gravity. That said, the more the story progresses, the more you get an idea of just what the world comprises of, which is a little more shady. Home is the theme that plays in your home village, and at first it’s just a sweet and bright ditty that goes well with the safe and populous environs. But without spoiling it, by the end of the game it becomes more of a nostalgic, bittersweet song. That this track goes perfectly with both feelings marks it out as something special. It’s not easy to pick one song from the Final Fantasy series to stand above all others. Uematsu’s work is so iconic and works so well with the games that one could easily sit down and write this list just for FF games. So what to pick out of the series? 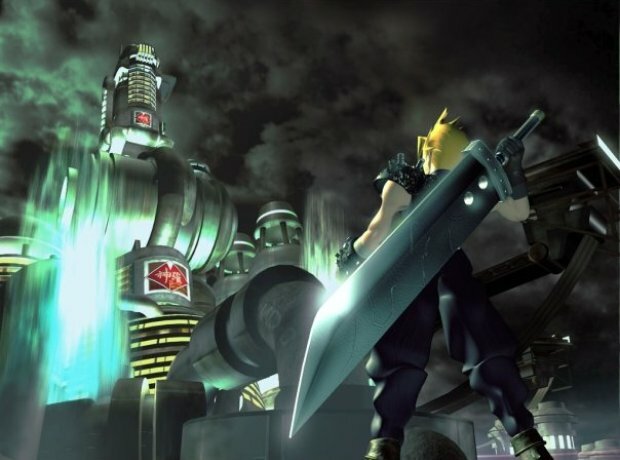 The main theme of Final Fantasy VII isn’t actually my favourite theme in the series, nor even the game, but it does such a great job of encompassing the feel of the game. Used as the world map music, as well as during some important story cutscenes, the various tones of the music have a good mix of unsettling, calming, courageous and threatening tones that it easily makes it onto this list as the most thematic. MGR:R’s music is just about the best collection of action themes you’ll find since Devil May Cry, and for a game where you spend most of your time running up walls and literally cutting things into slivers, that’s important. Of all of the tracks, Rules of Nature, the theme which plays as you fight the upgraded version of Metal Gear Ray, really stands out. During the beginning of the fight, the purely instrumental version plays, which is itself a mix of fast-paced rock and electronic that gets the heart pumping. Then, as Ray tries to crush you with a building-sized sword… ‘RULES OF NATURE!’ and the lyrics kick in. If you don’t start rocking out right then and there, you are probably medically dead. Ever had a theme song that is so good, you play through the entire game just to get to where it’s played? During my childhood, a time long before things like Youtube, file-sharing, and enough spending money to buy soundtracks, this is exactly what I used to do. In my memory, this theme sticks out as one I’d fight hard to get to again and again. So, you’re running around the inside of an active volcano, fighting all kinds of robots, drilling machines, devious traps and the environment itself. And finally, you get to the mid-boss, a device made of tendrils that spew laser bolts and a gigantic hand that rears from the lava to try and crush you. You beat it, then mysteriously, the volcano around you seems to dim. The lava beds dry into volcanic rock and the only light comes from the machinery scattered around… and the looming face of the Death Egg above. It’s a perfect mix of layered threat and mystery that mirrors the strange beauty of the level itself. Another game with an excellent soundtrack all-round (Capcom does this alot, huh? ), it was difficult to pick just one. But there could only ever be a single, truly outstanding piece of music from this game, though it owes a lot to the circumstances it’s played in. Much of the game sees you facing down opponents many times your size, and each time you do, the backing music is suitably ponderous, overwhelming and laced with threat. Especially when you fight a true dragon for the first time: Your teammates’ magic and weapons barely mark it, and it can down any one of them with a single swipe or bite. It even grabs your loyal pawns and bends them to its will, so you have to fight your own at the same time as the monster! And then it starts breathing flame… But you fight on, and eventually through sheer grit send it plummeting to the ground. It’s not dead, but its weakness is exposed. Filled with renewed vigor, you and your team descend upon it, and Imminent Triumph plays in the background. There’s been a lot of high-strung, epic action themes on this list, so my next entry is for something infinitely softer and yet just as awe-inspiring. The perfect combination of synth string, oriental melody and atmospheric drone is soothing, yet tense. The cherry blossomed beauty of the scene forms in the mind’s eye as you hear this track, even as the underlying sadness in it takes root. A little melancholy perhaps, but really beautiful nonetheless. The Age of Mythology soundtrack is famous for oddly-named themes that seem to have nothing to do with the circumstance around which they are played. This is no different, but it’s a mighty theme regardless. Played upon your victory, when reviewing the game’s statistics, one cannot help but imagine themselves being paraded through your victorious city, garlanded and cheered by the adoring masses. Final Fantasy victory theme, move aside; this is what triumph sounds like! Anyone who’s read my top 10 games list knows how much I love Persona 4, and a lot of that is down to the soundtrack. Even though some of the ‘school days’ type themes can get tiresome, pretty much anything that plays while you’re in the TV world is pure gold. Especially when the characters confront their shadows, the creepy and tense Border of Insanity slipping into I’ll Face Myself when battle is joined. Yet above these, The Almighty gets my vote. Without spoiling the story, it plays during a very important battle, against a seemingly-unassailable enemy. And the track has that great plodding pace to bring across the idea of immense scale and desperation, which builds up into a faster-paced, almost flighty midsection. You are above the clouds, fighting for all mankind with your friends by your side… and this piece conveys it perfectly. 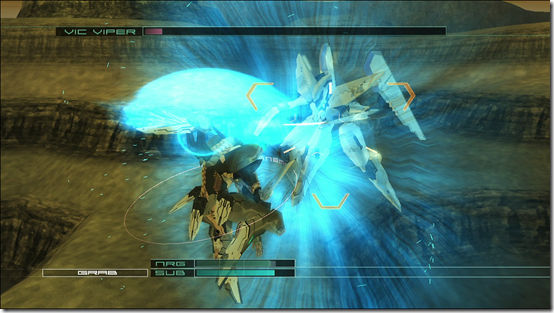 -Zone of the Enders 2: Leo! Leo! 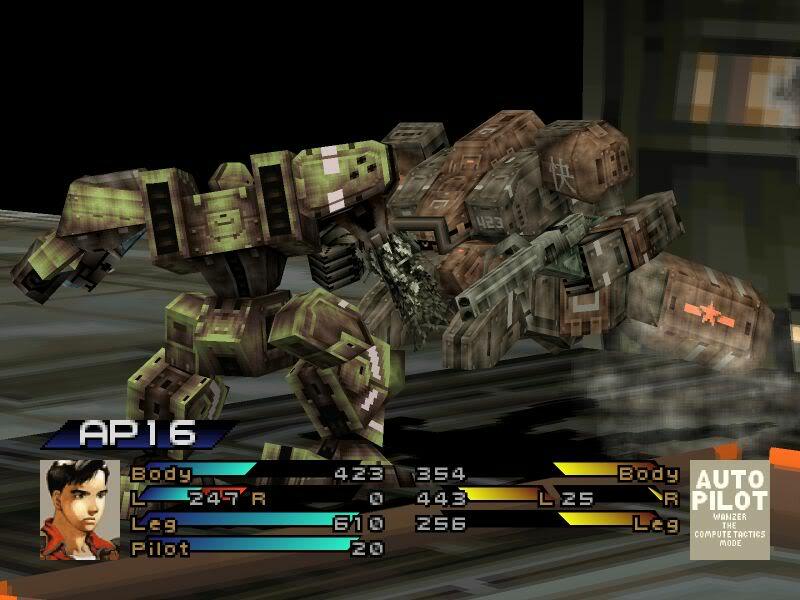 In comparison to the more famous Metal Gear series, Kojima’s excellent mech-battler was overlooked for the most part. However, it is an excellent pair of games that makes interesting use of cell-shading to create a stylistic, anime-esque atmosphere, with fast-paced action to match. The soundtrack was equally excellent with a movie-like combination of sweeping orchestral and futuristic synthesized beats. For this track, you’re hurled into a battle with returning first game protagonist, Leo Steinbuck, in a very familiar-looking mech. It’s a great fight that pits your admittedly superior machine against someone who knows its strengths and weaknesses and pushes his own craft to the limit as an expert pilot. The fast tempo of the song and urgent background wail/chant combo press the aggressive and relentless nature of Leo’s attack. So there it is; part 1 of my favourite videogame themes list. It only gets better from here, so stick around for part 2! 1) Fully customizable robots, so you can create a hovering rocket launcher. Or a 4-legged sniper. Or someone with two shotguns and a grenade launcher. Literally whatever you can squeeze into the weight restraints. No weapon restrictions on characters, either, so if you want a 4-man squad of flamethrowers, go for it! 2) Literally the angriest protagonist in an RPG (at least until someone makes a Berserk-themed one). Kazuki is a nutter. Or at least, he bounces between standard stoic hero and bloodfury. I swear he even seems to activate melee-based skills more than other characters. Tends to go for the arms, too. 3) A 4:1 spy to comic relief character ratio. Everyone loves spies, no-one likes comic relief characters. Winner! 4) Morningstars the size of buses. Yep. You can even dual wield them! 5) The Internet. Well, a drastically reduced simulacrum that runs like it was on a DOS beta, but still. It’s also hooked up to some kind of huge, gnarly 3D printer so you can literally send weapons and material down the phone line in seconds. 7) Grand Theft Mecha. Yep, you can punch someone out of their robot and jump in it yourself. Nothing quite like crushing a poor pilot with his own machine. You can even take it home later to sell or dismantle. 8) You assault a farmstead guarded by machine-armed walking trucks that run on manure. This is exactly as much fun as it sounds. 9) Both scenarios have at least a handful of missions aboard a gigantic rolling fortress that can accommodate an army and bristles with weapons. One mission even takes place on top of it! 10) A branching story arc allows you to see two sides of a gigantic national incident over a huge campaign, amounting to 120+ hours of gameplay, each with six or more unique characters and multiple events to each play through. It’s pretty easy to clock up 500 or so hours on this game without even realizing it… and it’s damn well good enough to make that effort! 1) Random status effects. That’s right, every single attack has a random chance to inflict either a stun, confuse or auto-eject on either you or an enemy. Battle skills increase this chance or make it a certainty, but the chance is high enough to make it almost certain that at least once a battle, something bad will happen to a pilot. And that one time your main pilot is ejected on your own turn, right in front of the enemy firing line, you will want to throw your Playstation out of the window. Despite that, Front Mission 3 is definitely worth a play, especially now it’s available for a modest sum on the Playstation Store. So what are you waiting for? Hey, remember Squaresoft? No, not Square Enix; presumably the remnants of old Square who were abducted, experimented on by evil aliens and then amalgamated into gestalt entities with the similarly abducted Enix staff into the evil clones we know today. If you don’t, once upon a time there was a Japanese company that just churned out quality (for the most part) RPG titles, tactical sims and action titles like Final Fantasy, Vagrant Story and, most importantly for this review, Front Mission. They made these great games with care and enthusiasm and amassed an international fanbase of millions, incidentally the only reason Squenix survives to this day. Everyone knows what Final Fantasy is, so I’ll skip that explanation. But what is Front Mission? Surely another turn-based monster slayer starring blue-haired kids whose villages have been razed to the ground? Nope. This game is set in the not-too-distant future where the world is divided into 4 or 5 super-countries and primarily features 30-FOOT TALL WALKING DEATH MACHINES! Okay, so humongous mecha are nothing new, but they’re so rarely done this well that it’s always a joy to see. They work especially well in this environment, as a team-based tactical RPG similar in style to Final Fantasy: Tactics. 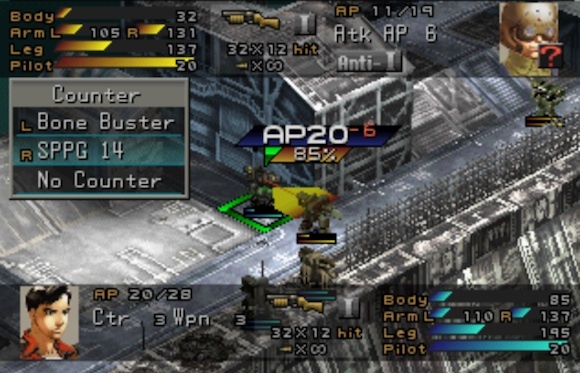 Battles take place on an isometric-view grid with your mecha able to make use of obstructions, heights and environmental hazards to take on outnumbering enemy forces. Each turn, you move your squad around the ‘board’ and select opponents to attack with a variety of weapons. Every time you do so, the camera zooms in to a more detailed scene of your mech blasting away at the enemy and receiving incoming fire in turn. Although the graphics are typically PS1-era crude, it’s still fun to see your shots exploding off the enemy, ripping arms and weapons off and your pilot celebrating when they make a kill. I have a slight bias for the third installment of the Front Mission series, as I will happily rant to no end to anyone willing to listen. In all honesty, this is probably my favourite game of all time, and certainly the one I’ve spent the most time with! The battles are fun, but mostly act as a testing ground for the way you customize and supply your Wanzers (short for wanderung panzer or ‘walking tank’) and what skills your pilots have learned. The customization is, for me, where Front Mission 3 really shines. You’re given complete freedom on how to arrange the parts, weapons and accessories of your Wanzers whilst balancing the weight limits, movement speed and durability of each mech. Past a certain point, you can select any weapon for each character, too, so if you want a squad entirely made up of missile-slinging heavies, you’re free to do so. Experimentation and adaptability is key and the ability to swap out individual parts of each machine means you can always tinker to make them slightly better, faster or harder hitting over time. In addition to part swapping, your pilots can learn ‘Battle Skills’ from each piece of equipment that allow them to randomly push the limits of their craft or guard against certain drawbacks. Everything from missile salvos, to ejector seats, electronic chaff and rapid-fire weapons, giving you the chance for that extra edge against your opponents. 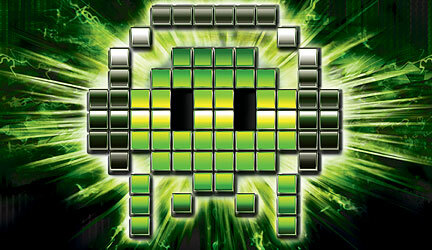 One of the more fun skills sees all your units within range gang up on an enemy machine for some free shots or punches! So enough about the combat system, how is the story? Front Mission 3’s is an interesting one. Being set, rarely for Squaresoft games, in the real world, it’s much more grounded in reality than most RPGs. You begin as Kazuki Takemura, a hot-headed Japanese test pilot working alongside his friend, Ryogo Kusama, a fellow employee in Kirishima Heavy Industries. Kirishima is one of the major Wanzer suppliers distributing materiel for the Japanese Defence Force. 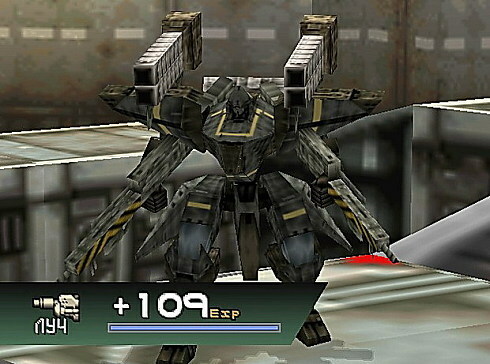 You begin the game testing out a new model combat Wanzer, which Kazuki comments on being ‘far too offensively-oriented for the defensive Japanese military’. It’s partly this insight that ends the pair up to their necks in hot water as a global conspiracy unfolds. I won’t spoil anything, but their journey takes them across continents, over vast battlefields and sees them join up with a plethora of unlikely allies. But… which side of the battlefield and alongside which allies is where the game shows off it’s more interesting feature. A simple decision early on sees the story split entirely in two, following completely different party members on opposite perspectives for the same story. Today’s friends could be tomorrows foes and both paths offer unique insight. Looking back, I wish my first time playing I’d tried to juggle both branches simultaneously, trying to keep pace with both sides of the story… that would be an experience. Whichever path you take, you’ll meet interesting characters from all walks of life, from a ditzy policewoman, to a jovial marine commander, to a federal spy (or four! ), even scientists and… farming equipment salesmen? Indeed, the game’s sense of humour is prevalent in Kazuki & Ryogo’s banter, though the game’s overall tone can be a little bleak, especially in ‘E’s’ scenario. Still, the world of 2113 is an interesting one where you’ll get to see the results of rampant genetic experimentation, city-sized mobile fortresses, weapons of mass destruction and… a man kicking a 30-foot tall robot in two. Seriously. Each scenario easily weighs in at 60+ hours, especially if you want to grind up credits and do some experimentation. So with both paths to explore, that’s more game time than even a Final Fantasy title and with multiple playthroughs, you’ll easily surpass your Skyrim game time! Front Mission 3 comes with my highest recommendation for any fans of tactical warfare, giant stompy robots or a good storyline. It’s only a shame that more Front Mission titles weren’t released in Europe ( I went to great lengths to get 4 and it looks like 5 will be out of reach for a while… hey at least there’s… Evolveeeddd D8 ). With a download available through PSN, there’s no excuse for any PS3/PS Vita owner not to experience one of Squaresoft’s great hurrahs and to own a game that certainly did its part in making the PS1 era once of gaming’s greatest moments. You’ll not regret it!